Enjoy Beverly Lewis's Books? Tell us Why and Win a Free Book! 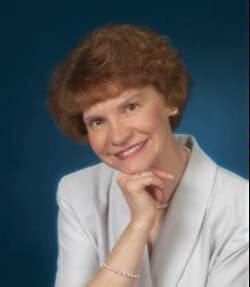 Welcome to Beverly Lewis's BookGorilla Author Page! We're working hard to bring you the best deals ever on Beverly Lewis's Kindle books. If you’re a Beverly Lewis fan, we'd love to have your help in making this author page special. Tell us, in no more than 150 words, why you think Beverly Lewis is great. Use this webform to send us your submission, and if we select yours we'll offer you one of Beverly Lewis's books or a Kindle Gift Card as a free gift! Thanks! Please enter your email address and click the Follow button to follow Beverly Lewis! NY Times bestselling author's new series chronicling the separation of families during the New Order/Old Order split in the Amish community in Lancaster County, PA.
New York Times bestselling author's continuing tale of a courting couple and the separation of families during an Amish split in Lancaster County. Beverly Lewis Bestseller, Beautifully RepackagedIn The Revelation, Jonas Mast has given Leah Ebersol reason to hope again. Yet events threaten that might force Leah and her sister Sadie to reveal their closely guarded secret--a secret with the power to split the Mast and Ebersol families even further apart, this time forever. Unknown to Katie, her long-lost love seeks her even as she has another interest. Yet she yearns for peace, which requires facing her plain heritage. Beverly Lewis Bestseller, Beautifully RepackagedIn The Prodigal, Leah Ebersol knows all too well that the truth can be thorny, even heartbreaking. But when an alarming secret is brought to light, she must make another difficult choice, one that could be further complicated by a prodigal who few expected to return. She prayed the day would never come, but when her past comes calling, Melissa James has no choice but to flee. Pursued and living on the run, she finds longed-for sanctuary in Amish country. Part thriller, art romance, Sanctuary is a compelling story of revenge, the price of freedom, and the solace found in friendship. Bestselling author Beverly Lewis's story of a journalist who must decide between joining the Amish life or leaving it forever. The bestselling story of Katie Lapp, who longs for things forbidden to a young Amish woman. But an unexpected discovery reveals her true past. Best-selling author Beverly Lewis' story of a weary big-city journalist and a New Order Amish woman whose lives come together over a mysterious postcard. Shunned and alone among strangers, Katie sets out to find her birth mother. Volumes 610 in New York Times bestselling authors' series for girls 1114 combines contemporary themes with the charm and simplicity of Amish life. Young Amish widow Rachel Yoder helps run a bed-and-breakfast in rural Lancaster County, Pennsylvania, and when a guest, journalist Philip Bradley, finds an old postcard in the dresser of his room, it touches off a surprising chain of events. Volumes 15 in New York Times bestselling authors' series for girls 1114 combines contemporary themes with the charm and simplicity of Amish life. Volumes 5-8 in the New York Times best-selling author's series for girls 8 to 13 based on their training to fulfill their Olympic dreams. When Merry and her friend search for clues in the disappearance of Chelsea's mother, they find evidence of strange religious activities. Is Chelsea's mother involved in a cult? Ages 11-14. Summerhill Secrets book 6.